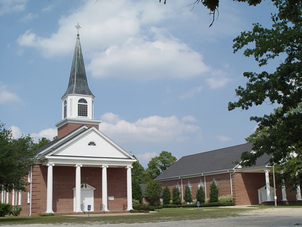 Welcome to Galatia Presbyterian Church in Fayetteville, North Carolina. Our prayers are that everyone who finds this site will discover more information about a grace-filled church, overflowing with love and joy. If you are interested in joining us for worship and would like more information, please view our Visitor's Page for details about our worship service. You can also visit us on Facebook for more information. Thank you and may the peace of our Lord be with you each day. Please be sure to check the full calendar for more information on upcoming regular and special events.